Company Is Warm.it's Also An Electric Blanket! Get The Warmth You Need During The Night While Resting Comfortably. 1.Warm And Cozy:This Heated Blanket Is Made Of Soft, 100% Flannel Fabric In A Channel Design That Gently Wraps You In Warmth And Comfort During Cold nights. 2.the Thermofine Warming System Of The Blanket Monitors Temperature And Auto-adjusts To Keep The Level Of Warmth Consistent Throughout The Night. 3.convenient Temperature Pre-Heat And Hold Feature That Makes Sure That Your Bed Is Warm And Cozy Before You Climb In For The Night; Built In over-Temperature Protection For Safety And Peace Of mind. cozy Up To Extra Warmth With A Sunbeam Heated Blanket So You Can Sleep Warm And Comfortably During Colder Winter nights. Energy Saving And Power Saving-Heated Throw Automatic Power Off,Even Forget To Turn Off The Power Is Not Afraid.when Using The Electric Heated Throw,Turn Off The Thermostat,Saving Home Heating costs. Rapid warming,Good insulation,Quickly warming heating about 10 minutes.Since then say byebye to the cold blanket.Ultra-low power,Save more money,Just 1kwh in a night. Meet more people, Rest assured that the use of student dormitory. Waterproof flame retardant fabric,Soft,Comfortable skin-friendly,Not easy to leakage,The elderly can be used,Baby bed wetting is not afraid! Quilted Heated Blanket Well-distributed Heating,Intelligent Downshift,Sleep Safe All Night,No Longer Afraid Of Awakening At Night,So You Have A Comfortable sleep. 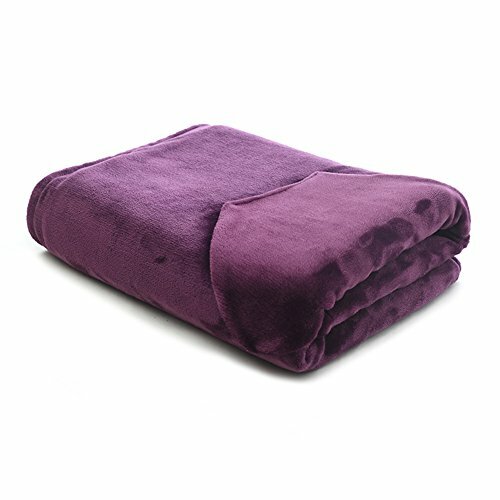 For easy care,The blanket is fully machine washable and dryer safe.